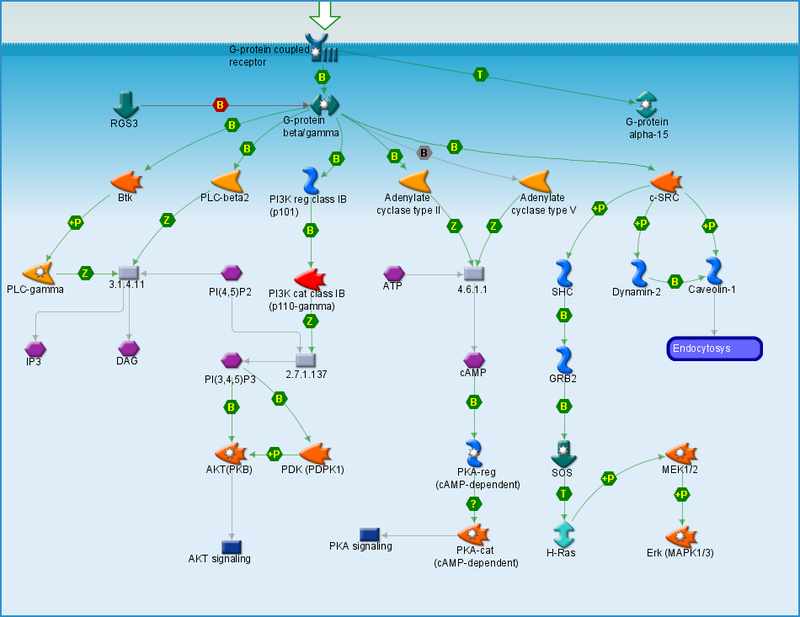 Process map on Genego’s web site. Sometimes you look at a picture and your hands simply itch to clean up the mess. 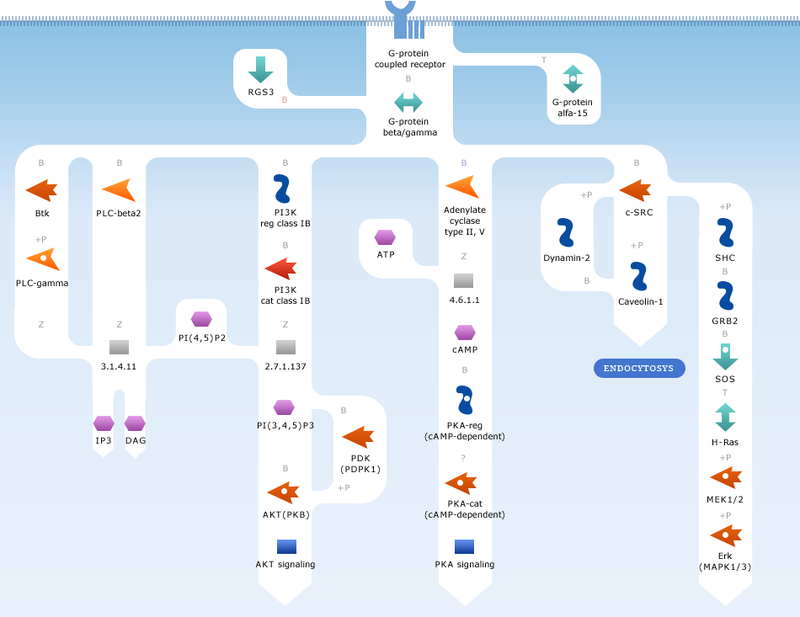 Here, for instance, is the map of the G-protein beta/gamma signaling cascade diagram — a typical screen of the biochemical knowledge base of Genego Corp. I hastily reworked the chart while preparing for a job interview in Genego Corp.: streamlined the chains, grouped the related elements and eliminated the graphic noise. The result is far from ideal but it’s only the first step in the right direction. Unfortunately, the employer was not interested in the neat design and high quality interfaces.